So, I'm back in Japan for a short holiday, and figured I'd do what I usually do and share a couple of pieces about my time here. Because, after all, Japan is an interesting place to visit. One of the first things I did on landing this year was visit the local CoCoCurry, which sounds like a humble, uninspired thing to do, but Japanese curry is so good. And that's odd, because the country isn't exactly known for its spicy food. When you think about "Asia" and "curry," you're much more likely to think about food from Indian restaurants, or alternatively Thai, Malaysian, or perhaps even Indonesian. 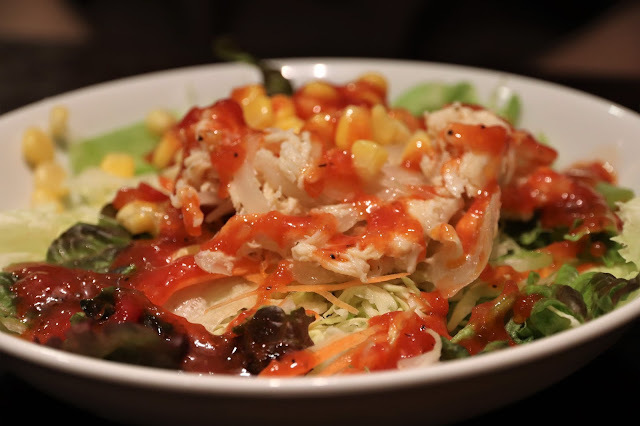 Outside of Japan, you've probably not even been to a restaurant or chain that specialises in Japanese curries (or, at least, that's the case in Australia). If you go out "for Japanese," it almost certainly means sushi, or perhaps izakaya or wagyu. The closest you'll get to heat is a bit of wasabi on the side. I certainly hadn't had Japanese curry before my first trip to Japan, but I became an instant convert after my first visit to the country when my wife took me to a CoCoCurry - the dominant curry chain in the country. The first thing to note is that Japanese curry is fundamentally different to the curries of places like India or Thailand. Textually it's closer to a stew, really, or a thick sauce to which the main ingredient is added later. So for example, on my trip to CoCoCurry this year I went with the chicken, and in addition to the sauce and rice, the meal came with a couple of different approaches to chicken - karaage, and katsu. Where in Indian or Thai curries, the meat would be cooked in the sauce itself, here it's served separate. It gives the curry a different texture - as I said, it's more like a thick sauce or stew, while the meat itself doesn't have that stewed texture, and I rather like the contrasting textures that result. Especially when you have the meat done in a couple of different ways to introduce even further textual variety. While Japanese curry doesn't taste like any other Asian curry out there, but it can certainly be hot. CoCoCurry allows you to select between a heat rating of 1 (mild to the point of being flavour only) through to 10 (it'll burn everything on the way down). As an avowed fan of other ultra-hot curries, such as vindaloo in Indian cuisine, I naturally go with 10 heat. The thing about Japanese curry is that the heat doesn't hit you right away. Rather, it's a slow building heat so that, by the time you reach the end of the meal you're sweating profusely, and that's exactly what you want. Especially in a climate as humid as Japan's. The other thing that really bears mentioning is that for something that's fundamentally filling (it's a lot of chicken + rice + the copious amounts of water you need to drink to keep the edge of the heat), CoCoCurry and other Japanese curry outlets is a fundamentally cheap way to eat. For my wife and myself, two mains, two sides, and two drinks (not including the table water) was the equivalent of $37 Australian. The equivalent in Indian curries back in Australia would be $50, if not more. Honestly, it's really surprising Japan isn't better known for its curries. I know that for a lot of people, curry wouldn't necessarily be on the "to do" list of experiences on a trip to Japan, but I recommend it. 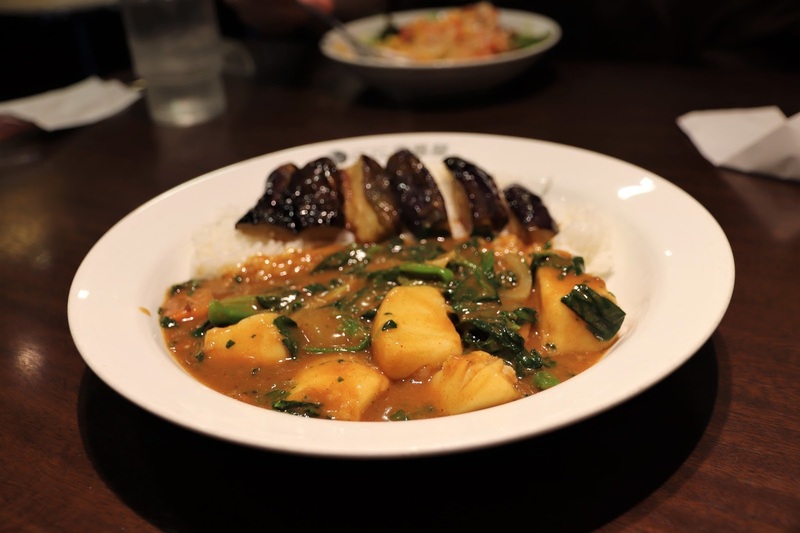 Not only do the Japanese have a unique and enjoyable spin on a curry (and therefore it is a cultural experience), but it is cheap, filling, and full of flavour. Visiting CoCoCurry has, in fact, become part of my Japanese travel tradition.